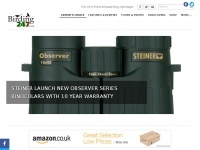 Connecting Birdwatchers with daily news, features, rarities sightings, useful advice and technical reviews. We go 24 hours a day, 7 days a week. 6. New camo tra­vel tri­pod from Manfrot­to for all le­vels of bird pho­tog­raphy /new-camo-travel-tripod-from-manfrot­to-for-all-levels-of-..
7. KITE Op­tics ex­pand their SP ran­ge with com­pact 65mm mo­del /kite-optics-expand-their-sp-range-with-com­pact-65mm-mode..
9. Walkstool - a Swe­dish three-leg­ged stool in­ven­tion thats i­deal for bir­ding /walkstool-a-swe­dish-three-legged-stool-in­ven­tion-thats-i..
10. First Look at the popu­lar field pouch from Country In­nova­tion /first-look-at-the-popu­lar-field-pouch-from-country-innov.. 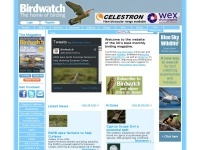 In total 1 links were found which refer to Birding247.co.uk. Individual words like Birding and Birdwatching are frequently used in text links from other websites. The most important link sources for this website are Walking247.co.uk and Activelyoutdoors.co.uk. 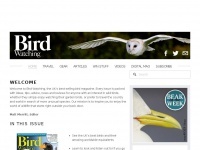 The homepage of Birding247.co.uk and the subsite are most referenced by other websites. 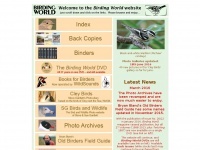 The table shows the most important links to Birding247.co.uk. The table is sorted in descending order by importance. 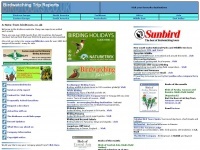 The table shows websites of Birding247.co.uk, which are often linked by other websites and therefore they are classified as important content. 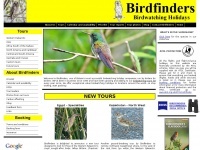 Birdtours.co.uk - Birdtours.co.uk - The Bird Watching Trip and Tour ..